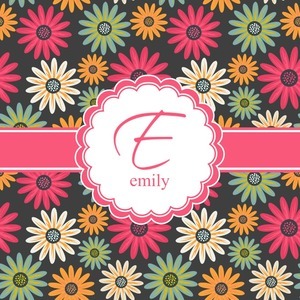 If you love daisies, but are looking for something a little darker and edgier this is the floral pattern for you. The flowers in this design are are a vibrant mix of fall colors, all on a deep gray background. The design has a classic ribbon in hot pink, the perfect place to add a name for that personal touch to pull the entire design together.